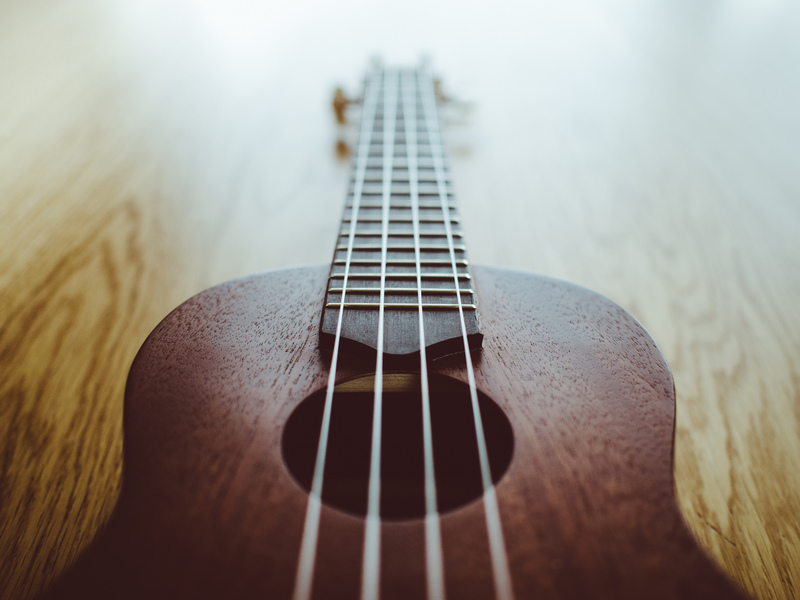 Well, this is my last blog post of my internship.The last six and a half months have flown by and I’m so happy that I got to spend my internship here at Music Therapy Connections. It’s been a fun journey of learning, growing, and meeting new people that have changed my life in so many positive ways. As I look back at who I was in August of last year, I realize that I’m a completely different person now. Even though it was hard at times and there good and bad moments, I wouldn’t change a thing about my internship experience. I’m so incredibly thankful for Rachel and Katey as well as the other team members here at Music Therapy Connections for welcoming me, challenging me, and loving me, especially when I didn’t know anyone else here in Springfield. My internship is an experience that I will surely remember for the rest of my life. After this next week, I will be off to a new place to start another journey at my first job as a music therapist. I haven’t exactly absorbed or accepted the fact that I’m moving next Friday and finally starting my life after college, but know that all will be alright in the end. I don’t know where life will take me after next week, but I do know that it will be wonderful as long as I keep a positive mindset. It may be hard at times, but with a positive mindset, I will be able to conquer anything. I also have no doubt that I have the tools necessary to be an effective entry-level music therapist. Finally, thank you for letting me share my thoughts and opinions with you each week. Blogging has been a great way for me to stay reflective and challenge myself to change my mindset whenever I needed it. I may be a sentimental person, but if you are just starting out your internship or will be in the next few months, I want you to remember to soak in every moment of your internship because it goes by fast. Overcoming anxiety is hard. It’s a constant struggle for me and probably for many other people in the music therapy profession. 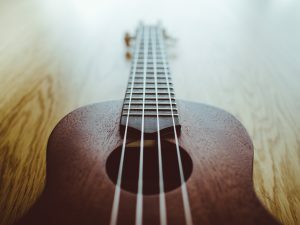 Sometimes, as horrible as it is, my personal anxiety can carry over into my music therapy practice, especially when there is a lot on my plate. It’s happened a lot this past week and I am becoming more aware of it. I have been learning in my internship how to effectively deal with anxiety, both personal and clinical, and I’d love to share my reflections and thoughts with you today! You’ve probably heard about the “hats” metaphor that people use to describe themselves in different situations. There’s the music therapy hat, the personal hat, and any other hat that may apply to your life. In order to deal with anxiety, I’ve been practicing wearing just my music therapy hat when I’m at my internship. In order to do this, I found it beneficial to stay in the moment. By staying in the moment, I avoid thinking about everything that I have to get done after a session or otherwise. Also, this is beneficial to the client because then I am focusing completely on them and their needs. If I have time before I go into a session and I’m feeling anxious for whatever reason, I take five minutes to just relax and think about my “happy” place. This gets me prepared and less anxious. If I don’t have time when transitioning between clients at my internship, I like to take a drink of my water, take a deep breath, and visualize myself doing something that I love (even if it’s for a short thirty seconds). When I don’t take a moment for my brain to relax, my tensions can carry over into the next session, which is not the best option for anyone. Overcoming anxiety is a process and if I continually work towards handling it effectively, it will become easier. What are some ways you overcome anxiety and minimize it’s effect on your life? 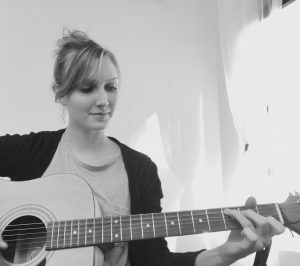 Throughout the course of my internship, I’ve written several original and piggy-back songs and recorded them; I’ve learned a lot from the process and now believe that I have the tools and knowledge necessary to write songs specific to my client’s goals and objectives. This week, I’ve been working on one of my final projects for the end of my internship. I’ve decided to take all of my songs that I have written and recorded, put them into a book and analyze them to see how I can adapt them for different client populations and goals. This has had me reflect on three songs I use on frequently and how I adapt them daily for different client needs. I use this song a lot in the hospital setting, especially with younger children. Just this week, I improvised piggyback lyrics for a patient who wanted to sing about seahorses and starfish. I kept the melody of this song, just added different lyrics, encouraging the patient to engage in songwriting with me in order to allow them to express themselves in a positive constructive way. Since this is such a familiar melody to so many young children, you can rewrite the lyrics for any purpose or goal! I’ve used this song throughout practicum as well as my internship for a variety of purposes. One can change the lyrics to this song to promote movement, encourage the learning of directional changes and opposites, make smooth transitions, and even promote speech. The melody is catchy enough to use with younger children and most older adults know this song as well! This song is a favorite of mine, however, I never sing it the way that it was originally written. I usually adapt this song in the hospital setting for when a patient is playing the drum or a shaker. I change the words based on their actions in the moment; for example, if they’re tapping the drum, I sing about tapping and replace the lyrics accordingly. If they’re playing a maraca or using an egg shaker, I sing about opposites and directional changes (up, down, etc.). Like the previous two songs, it’s such a great song because it’s easy to sing along with and great to adapt! What are some of your favorite songs to adapt? I’m always looking for new songs and would love to hear from you!! Never say never. I have the bad habit of saying “I’m never going to (insert comment here) because I just don’t like it.” I use this phrase frequently, almost daily, about various aspects of my life. I’ve proved myself wrong over and over again because I’m currently doing things that I said I would “never” do in life. For example, I said I would never teach lessons. 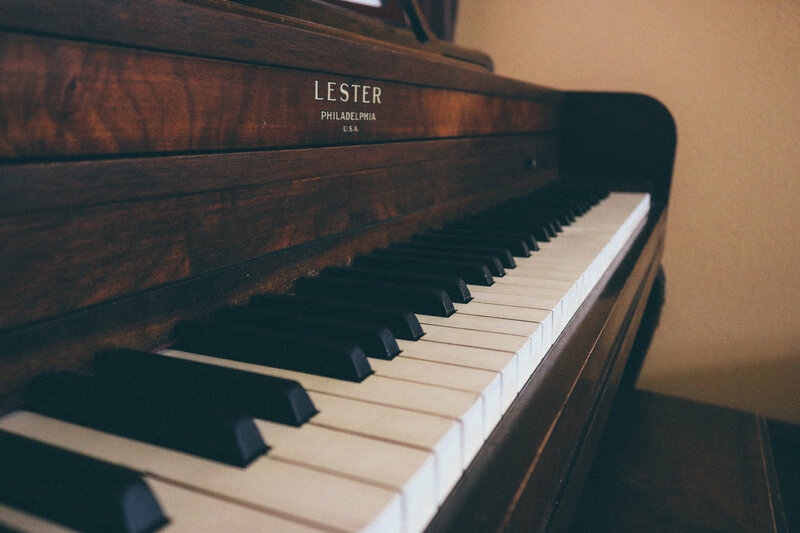 At my internship, I teach music lessons for piano and over the past six months, I am realizing that I LOVE it; now I’m considering teaching piano and flute lessons after my internship because it’s something that I enjoy doing and I love working with students. I’ve heard myself say “in the future, I never want to do this” so many times in the past few months so I wonder why do I say it in the first place? It might be because something seems uncomfortable at first, but after practice and experience everything does get easier and more comfortable. Part of growing as a person is realizing that your tastes, likes, and dislikes change over time. Looking five years into the future, after learning and practicing, I might enjoy an activity that I absolutely dislike right now. The truth is that by saying “never” to something, it limits my outlook and prevents me from expanding, learning, and growing. The brain is a powerful thing and it hears me saying to myself that I will never do something, which causes me have a general negative attitude towards that situation. However, I’m very fortunate that I’m surrounded by people who push me despite hearing me say that “I never want to do” something. Keep an open mind when trying new things. Always. Also, stop saying never! I’m striving to take that word completely out of my vocabulary. It’s a toxic word that prevents growth and limits a person from finding their true potential. That’s the lesson that I’ve learned this week and probably one that I will keep learning throughout my life. Just because something is hard right now, doesn’t mean that it won’t get easier over time; I might find myself to actually enjoy it! Last week I wrote about three reminders that I would tell myself in the past in order to help overcome challenges. This week I would like to reflect and share with you three things I would like to keep in mind as I continue practicing as a board-certified music therapist after internship. If you are in this stage of life as well, finishing up internship and deciding what is to come next, I challenge you to think about what you could possibly remind yourself in the future, especially when times get tough or seem difficult. When I continue on through my career, I need to remind myself to continue keeping an open mind about any situation I may encounter. This has been my theme of the past week; just because I may not fully enjoy something right at this moment, it doesn’t mean that, in the future, I won’t enjoy it or have developed the skills to be effective in a particular situation. This can apply to all aspects of life including clinical situations, certain foods, and other activities. As Katey always says to me, “You’re the expert! What is there to worry about?” So as I enter into my career, I need to believe and trust in myself more than ever. Even when I feel that I don’t know what I’m doing, I do know because I’ve received excellent training and guidance in the past. You CAN do it because you ARE the expert! 3. Take care of yourself! This is probably the biggest reminder that I need to tell myself everyday after my internship. I’ve been experiencing multiple problems that have stemmed from muscle weakness. I haven’ t been taking care of myself the way I should and it has effected my guitar playing and overall personal health. When I start my new job, I need to be proactive about strengthening my muscles so that it medical problems don’t get in the way of my clinical skills.